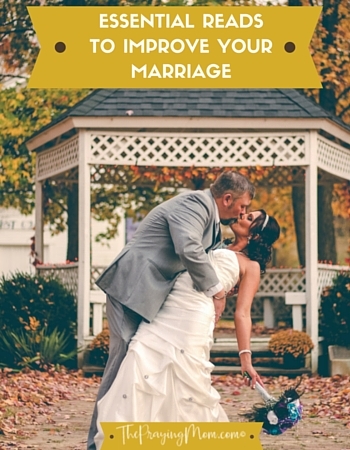 Want to improve your marriage? Let’s face it, no matter what state your marriage is currently in, all marriages can use improvement. Making marriage work takes intentionality. Being intentional might start by learning wisdom from others. This is a book that was recommended by my mentor and I read it over 10 years ago. There are still many things that I read in this book that I apply to my marriage today. The cycles that Eggerich refers to in this book are so common to see in couples and this book really gets to the heart of how to break dangerous cycles that happen in our relationship with our spouse. Reading this book was a turning point in my marriage & I highly recommend all couples to read it! This is a great book for understanding your spouse and what makes them feel loved. It is not a one size fits all, and we often want to give our spouse what make us feel loved and it might not be what fills their love tank! This eye opening journey will help skyrocket communication and intimacy in your marriage! This was one of our book club picks this summer and it has some great insights! Because it’s written by a therapist, it includes lots of practical examples that you can find a way to relate to your own marriage. Definitely worth the read and lots of great things to help strengthen your marriage. I attended a marriage weekend that Justin and Trisha Davis hosted several years ago. Their story of redemption is so beautiful and powerful that it will inspire you to want to go “beyond ordinary” in your own marriage. This is a great read for any marriage! If you think you have a good marriage, that’s awesome, but that thinking often leads to complacency. This book will challenge you to get out of that thinking to realize that good is not “good enough” and you want a marriage that’s “beyond ordinary”, you want extraordinary! This pair of books is great for couples to read and then discuss. For Women Only & For Men Only tackle the truths that men & women want to talk about, but find it difficult to talk about. They address inner needs and fears that women & men have and help partners to understand each other in a deeper way. The conversations that come from reading these together can transform your relationship! When faced with being betrayed, women can often let the pain tear them apart. This book gives women practical tools to allow the pain to heal & even grow them in powerful ways. Debra Laaser’s personal journey, along with her work with hurting women, gives her insight into how to help women answer the hard questions that come with this kind of betrayal and come through the experience with a new perspective and freedom. In this book, Dobson offers practical advice on how to effectively use “tough” love to renew relationships. It even asserts that these techniques can be used even when you don’t have two willing parties, which so often happens in the early stages of marriages in crisis. I attended a marriage weekend that Justin and Trisha Davis hosted several years ago. Their story of redemption is so beautiful and powerful that it will inspire you to want to go “beyond ordinary” in your own marriage. This is a great read for any marriage, but especially for a marriage that might be going through infidelity. I personally know many couples that have heard Justin & Trisha’s wisdom & applied it to their hurting marriages that are now restored! Definitely a book worth your time. Any books that have impacted your marriage? Share them in the comments below or email me at christy@theprayingmom.com and I’ll add them to this list!